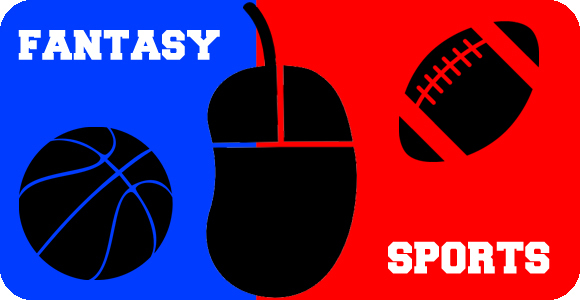 Each year, Fantasy Sports gets bigger and bigger, and it has certainly caught the attention of not only the major sports leagues that are used, but also sportsbooks as a great way of getting a large fan-base, and even making some money at the same time. Many believe that participating in fantasy sports events that have prizes is a great workaround to the current laws surrounding sports betting. Although some higher ups, like the NBA and MLB commissioners, believe that betting on sports should no longer be an issue, and actually desire to legalize it, many others like the NFL and the NCAA still oppose this idea. They believe it would corrupt the game. This is where fantasy sports sites come in. They offer services where fans and players can pick their sport, and create their fantasy team, with the added perk that it isn’t just for fun. They offer prizes, whether it is cash or other types of rewards. The two sites that are leading the market are FanFuel and DraftKings. Their members can choose to play for free, or actually pay a fee and participate in higher paying contests, like head to head or tournaments. It works just like regular fantasy sports do, giving points for certain things, and the winner would get the prize money. Many of the leagues that are still against sports betting do not really have an opinion, as this works great for them as well. With the popularity of fantasy sports, it brings in more viewers and fans, which is what each sports wants to accomplish. So, as they work on the grey side of the law, until someone openly opposes this, fantasy sports sites can continue operating freely in the US.